Rosetta Stone: Music for multiples. The idea of “multiples” — musical works composed for several identical or like-sounding instruments — has been a decades-long preoccupation of the composer Jordan Nobles. 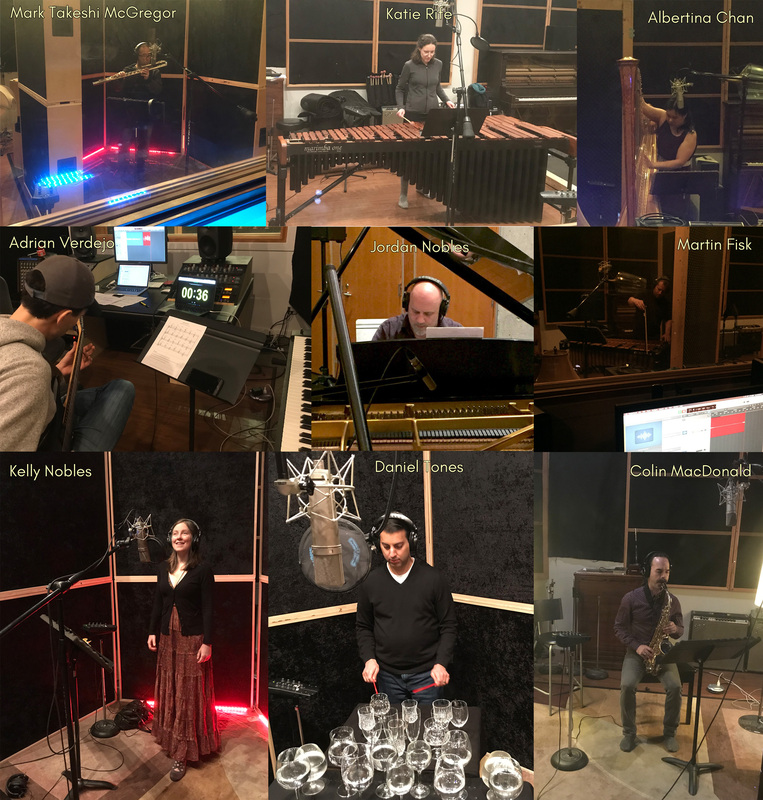 Whether it’s eight saxophones, six harps, or twenty-four vibraphones, the monochromatic ensemble presents a creative restriction that is capable of surprisingly dynamic and varied results. Taking his penchant for minimalism even further, Nobles opted to have each work on this album performed by a single musician, via multitrack recording. This has allowed him to create works that, for practical reasons, would be difficult to perform “live” (like möbius, for ten grand pianos, or air, for sixteen bass flutes), while at the same time reinforce the chromatic uniformity of each piece to an almost hyperreal level. Recorded at Creativ Music Centre, North Vancouver, B.C. Special thanks to Mark Takeshi McGregor, Kelly Nobles, Mariah Mennie, Mike Southworth, Colin MacDonald, Susana Valente, Mark Haney, David Anderson, and Mountain View Cemetery. This recording was supported by Creative BC and the Province of British Columbia. Jordan has won numerous awards for his work including a JUNO Award for ‘Classical Composition of the Year’, a Western Canadian Music Award, the International Composition Competition of the Unbound Flute Festival (Brisbane, Australia July 2016); the Sacra/Profana (San Diego 2013) , Vancouver Bach Choir (Vancouver 2008), and Polyphonos (Seattle 2011) International Composition Competitions. He placed 2nd in the International Soli fan tutti Kompositionswettbewerbs in Darmstadt, Germany and was a finalist in the C4 Choir Composition Competition in New York., as well as has been chosen to be performed in Wrocław, Poland at the International Society for Contemporary Music’s 2014 World Music Days. In 2017, Jordan was the recipient of the Jan V. Matejcek Award from SOCAN “in recognition of his overall success in New Classical Music” and was honoured with the Barbara Pentland Award of Excellence for his “extraordinary contribution to Canadian Music”. Jordan was named the 2009 Emerging Artist in music from the City of Vancouver’s Mayor’s Arts Awards. His string orchestra work Aurora was the CBC’s official entry at the UNESCO International Music Council’s International Rostrum of Composers in Lisbon, Portugal. He continues to receive many National and International performances and commissions. 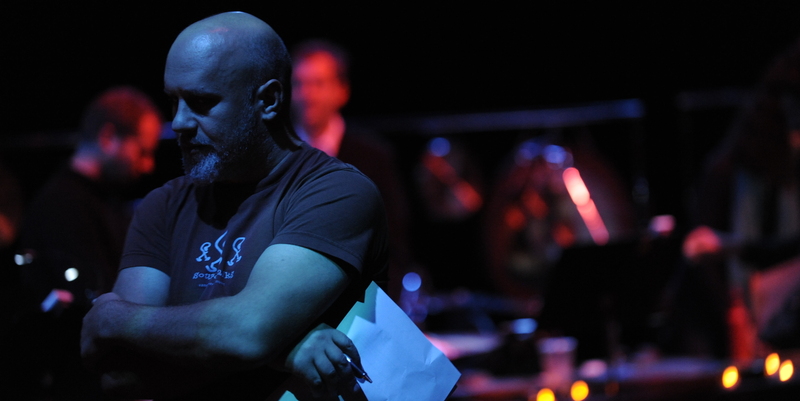 He is a member of the Canadian League of Composers and an Associate of the Canadian Music Centre. Recent projects included commissions for a spatial work for large wind symphony for Arizona State University, a work for soprano and chamber ensemble for the Royal Conservatory of Music in Toronto, a concert length spatial work for the Surrey Youth Symphony, and a new commission for the Standing Wave ensemble.